///Should I calculate any diff? 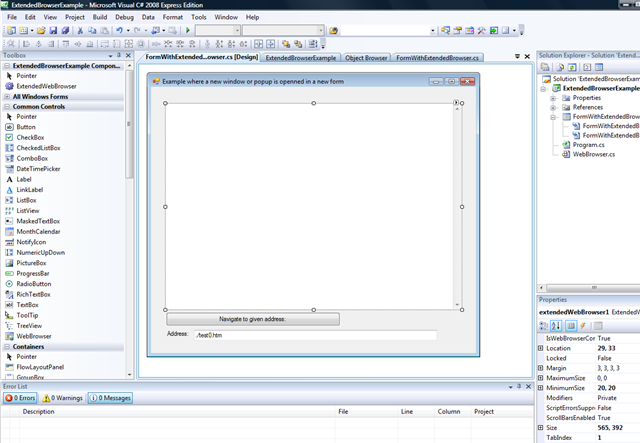 So now when the window opens it takes the specified width, heigth, left and top. 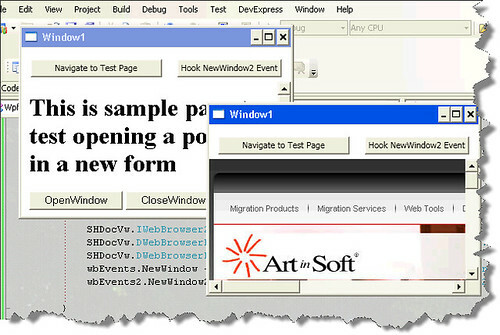 The WebBrowser control for .NET is just a wrapper for the IE ActiveX control. 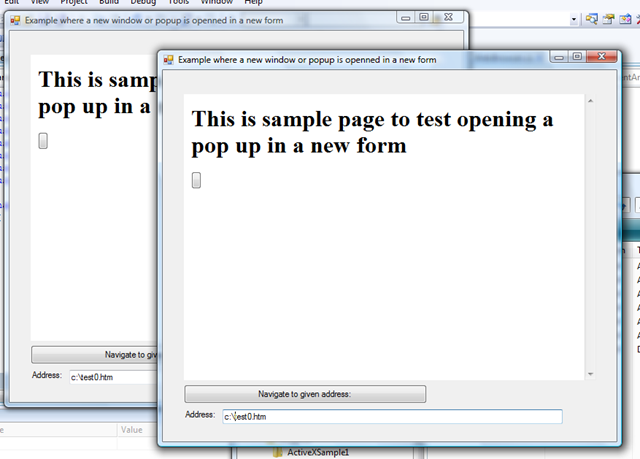 However this wrapper does not expose all the events that the IE ActiveX control exposes. 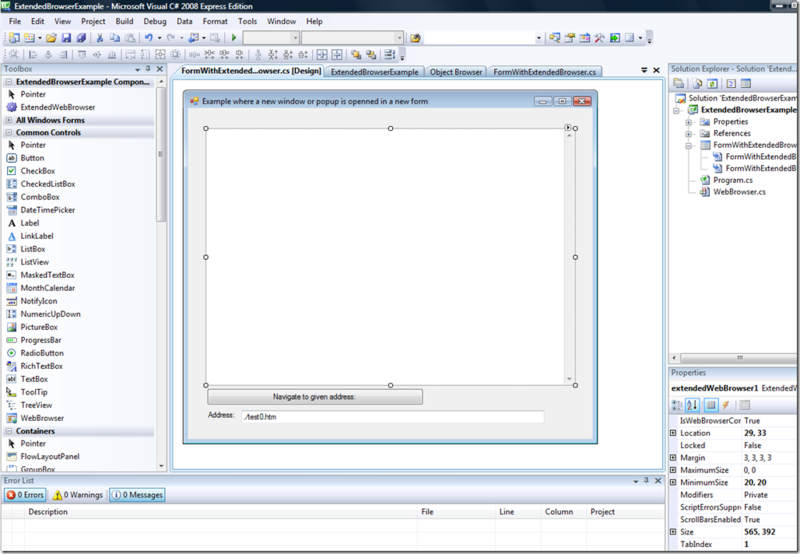 For example the ActiveX control has a NewWindow2 that you can use to intercept when a new window is gonna be created and you can even use the ppDisp variable to give a pointer to an IE ActiveX instance where you want the new window to be displayed. So, our solution was to extend the WebBrowser control to make some of those events public. Create a new Class for your Event that extend any of the basic EventArgs classes. 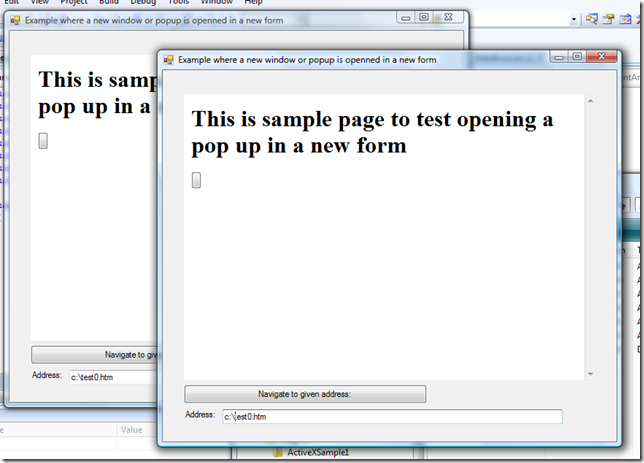 Look at the IE Activex info and add the DWebBrowserEvents2 and IWebBrowser2 COM interfaces. We need them to make our hooks. Create a WebBrowserExtendedEvents extending System.Runtime.InteropServices.StandardOleMarshalObject and DWebBrowserEvents2. We need this class to intercept the ActiveX events. Add methos for all the events that you want to intercept. 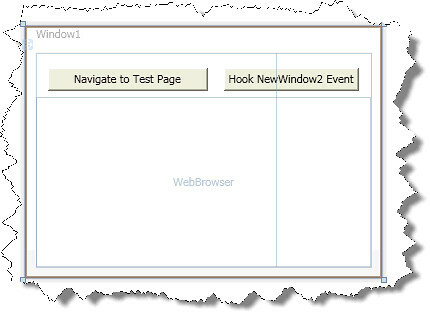 Extend the WebBrowser control overriding the CreateSink and DetachSink methods, here is where the WebBrowserExtendedEvents class is used to make the conneciton. Add EventHandler for all the events.